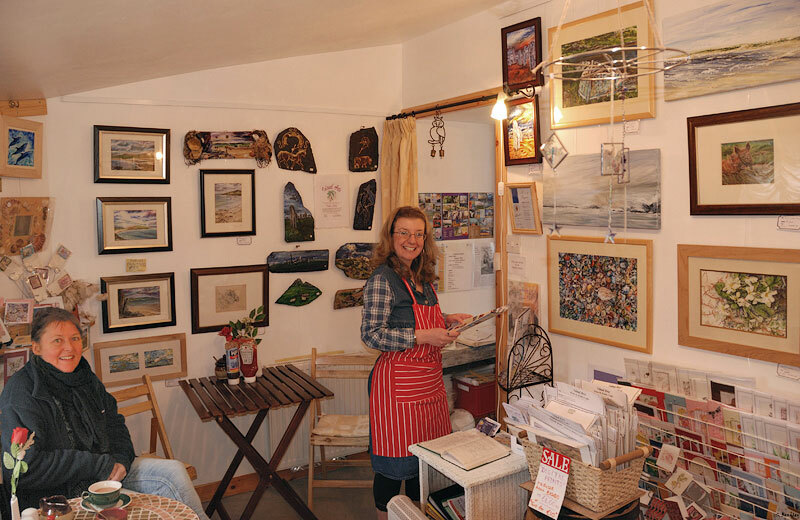 Island Arts is a Gallery and Coffee Shop attached to our home and B&B residence in Balallan. We are located 23 miles from Tarbet and approx. 14 miles from Stornoway on the A859. Take a Break and enjoy a pot of tea and a scone, while browsing the artwork of Debbie Cullis and Paul Smith. We serve home-baking, cooked snacks and a range of herbal teas and fresh coffee.